This is an excellent location for seniors looking for assisted living care in a warm home environment. Home made meals and assistance with daily living activities. 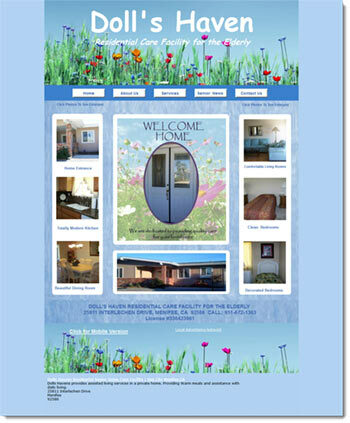 Dolls Havens is one of the finest elder and senior care facilities in Sun City, Menifee CA. Its a place where residents feel like its their own home. They can establish long bonding relationships with other residents and staff members, who become their extended family. Some of the services they offer are elder care, assisted living with daily activities. They also offer long term care or short term care. Their home is the best of both worlds, residents can have as much independence as they want. With the personal care and support services available to residents when they need it.